A group of Finks outlaw motorcycle gang members were issued more than 50 infringement notices when police stopped them travelling along the Hume Highway on Monday. The notices were related to a range of offences including speeding, safety hazards on the motorcycles, registration, major grounding defects, offensive language and parking. Just before midday, officers from NSW's Strike Force Raptor stopped 16 motorcyclists riding south of Marulan, near Goulburn. Further inquiries and the assistance of Goulburn Traffic and Highway Patrol officers led them to stop and speak to a second group of motorcyclists at a service station in Pheasants Nest. Checks revealed they were all from the Finks gang. 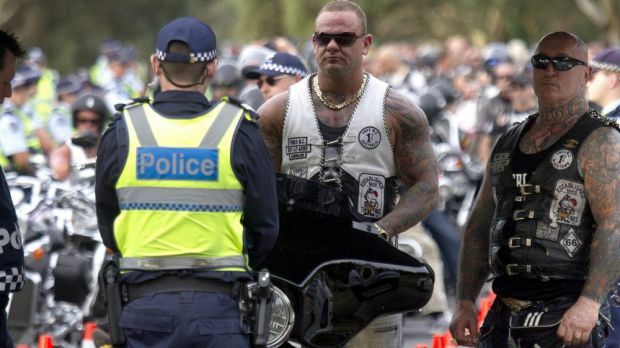 Commander of State Crime Command's Gang Squad, Detective Superintendent Deborah Wallace, said police across the state were uniting to stop illegal activity by bikie gang members. "Strike Force Raptor is a high-impact, pro-active response that will target outlaw motorcycle gang members and their associated criminal enterprises," Detective Superintendent Wallace said. "Officers will target everything from traffic offences and bail compliance, to firearm and security licensing, to drug offences and illegal business practices, to violence and retribution.